TER Rental provides you with logistic support. Static Rental or Dynamic Rental, two services to meet all your project needs! Our research department is constantly developing innovative solutions that are perfectly adapted to the logistics of today and tomorrow. 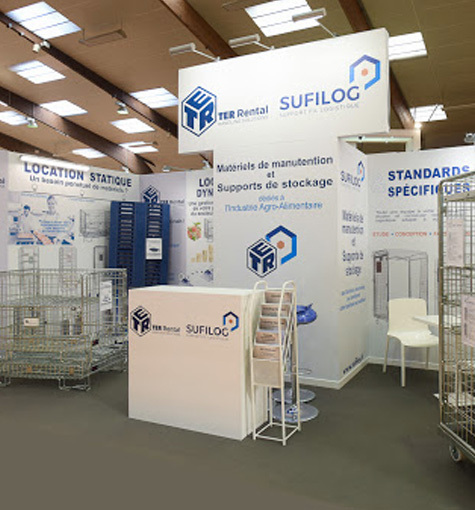 We design robust and high-quality products for rental. Each time we return to one of our depots, our equipment is checked and repaired if necessary to guarantee that the equipment is in perfect working order. 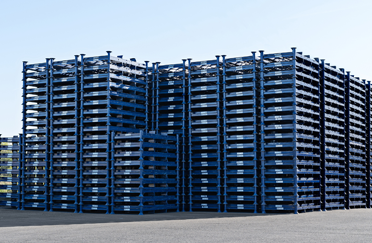 The fleet of containers made of metal wire, plastic pallets and plastic crates are systematically washed in line with food industry standards. 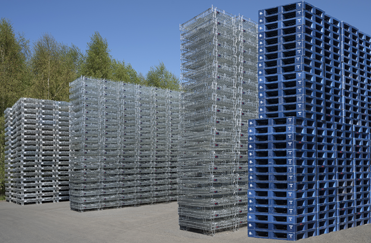 The logistic supports are packaged in standard filmed stacks, ready to be shipped to our customers, and at heights that allow us to optimise transport at the lowest cost. Rent our equipment, entrust us with management and become more flexible! Need to punctually use a fleet of supports, or search for a sustainable alternative to a costly investment? 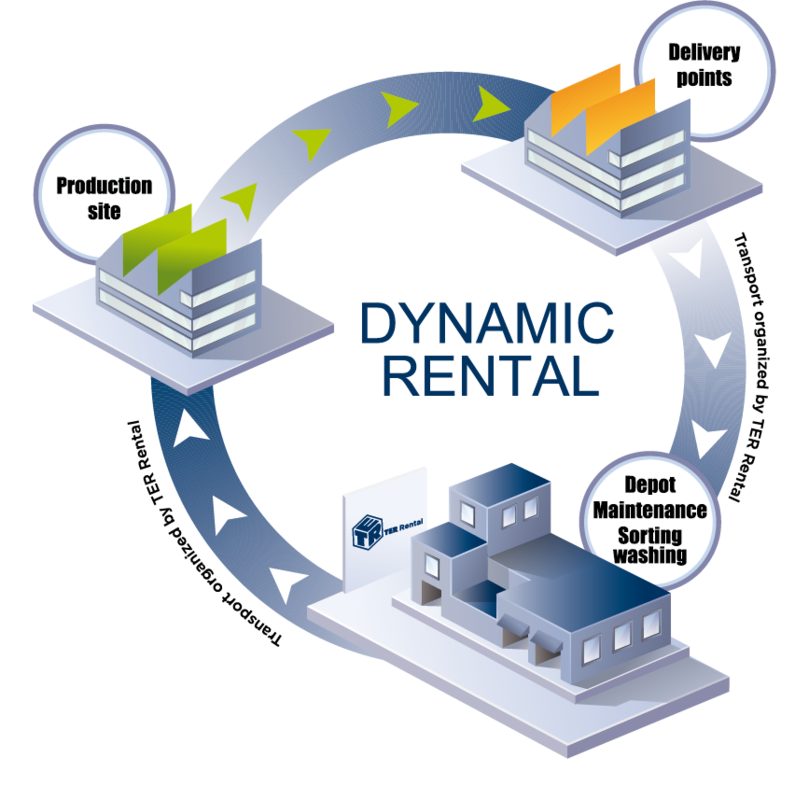 For flexibility, responsiveness and volume, static rental is your solution. 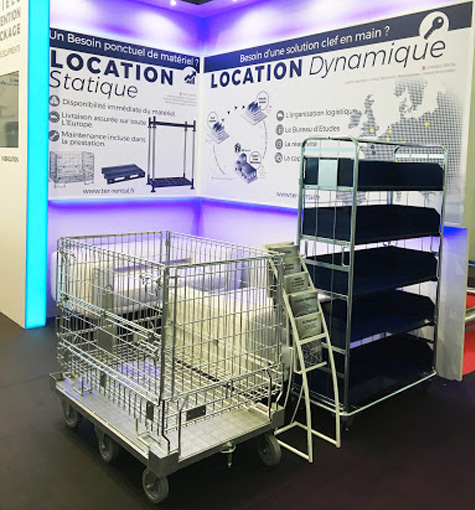 We offer national and European innovative management systems for fleets of handling materials by controlling the costs of the supply and distribution chain. TER Rental offers a complete range of logistics equipment, a wide range of dimensions for all kinds of goods, loads and handling.  All our logistics solutions are adapted to the needs of companies according to their business sector.